We are celebrating Colonial Day at our school today. Yours truly is in charge of making corn pancakes. I am going to talk to the kids about the ways corn was used and how they ground the corn to make flour, meal, and grits. Fun! 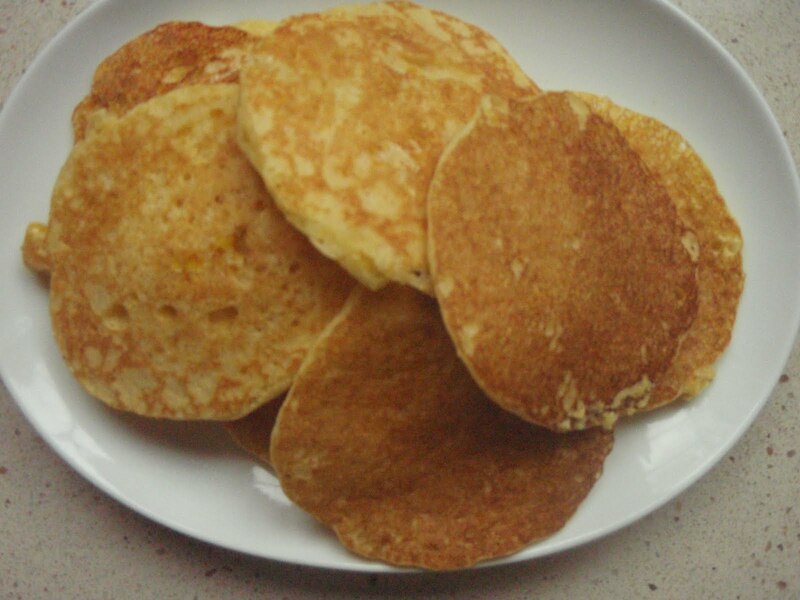 I looked at a few recipes for pancakes and then came up with my own. It is fantastic --well, my family thinks so... 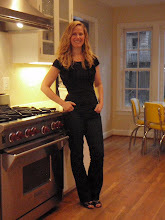 It couldn't be easier and I know I will use it for breakfast, lunch, and dinner! It would be great at breakfast time with a fried egg. It would be great at lunch with a side salad. It would be a lovely little appetizer with some creme fraiche and smoked salmon. I also think it will be great with black beans and avocado. I would prefer to use fresh corn in this recipe but none is available right now. The frozen corn worked very well in the place of fresh. Put about a teaspoon of butter in your pan or wipe the griddle with oil (do this before heating!). 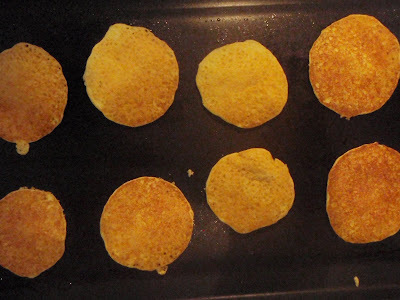 Heat non-stick or cast iron griddle or fry pan on medium heat. 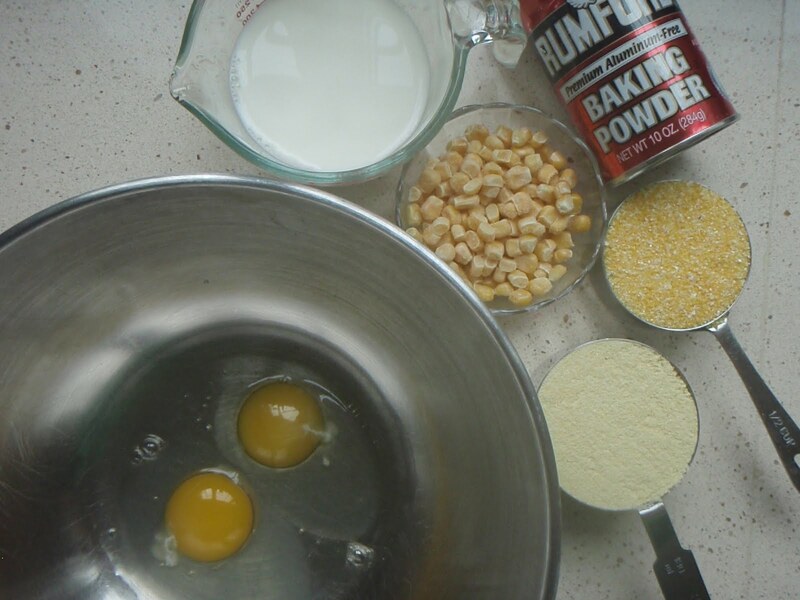 In a small bowl, use a fork to mix the corn flour, corn grits, salt, and baking powder together and set aside. 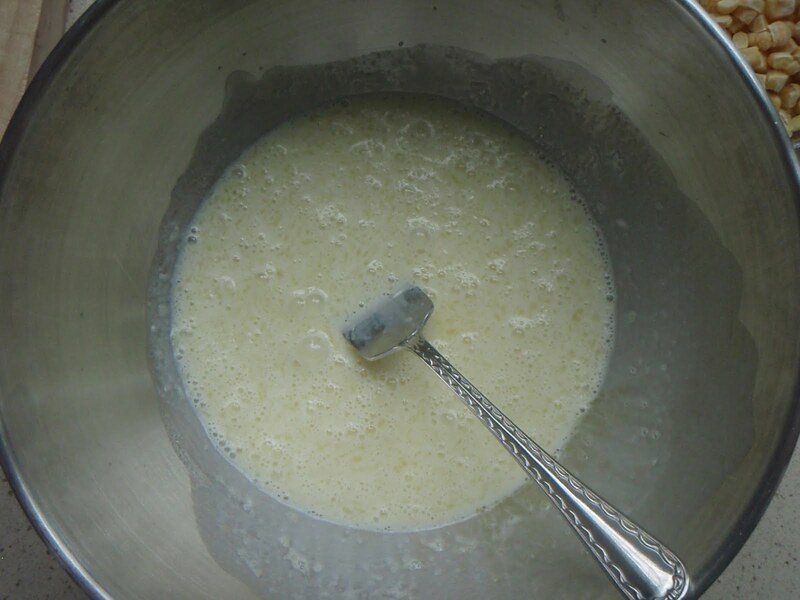 In a large bowl whisk together (you can just use a large fork for this) eggs, milk and melted butter. Add the dry ingredients and stir together --batter will be loose not thick. Depending on the size of pancake you want --about 1/8 cup to 1/4 for large pancakes --drop batter onto hot pan or griddle. Add a few corn kernels to the top of each pancake on griddle. Cook for about 2-3 minutes until bubbles form on surface. 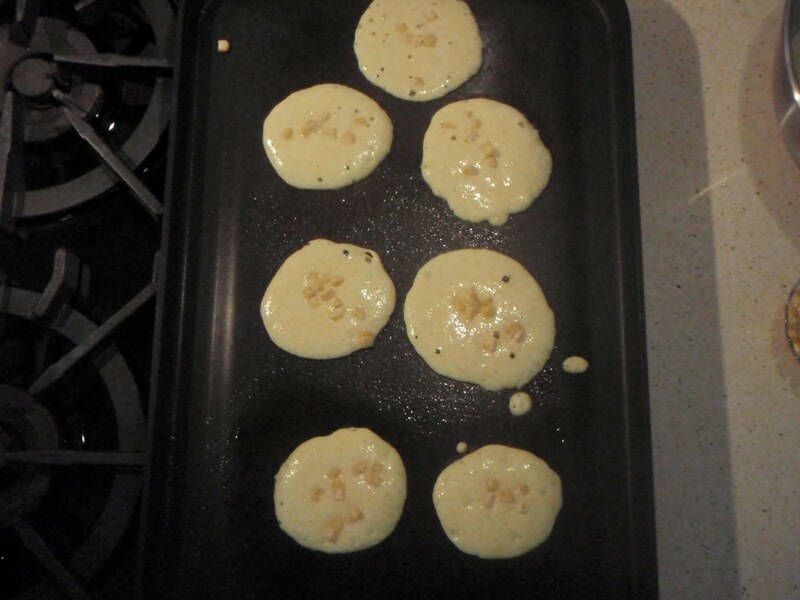 Using a spatula to flip pancakes to the other side and allow to cook for another couple minutes. Enjoy!! wow, can't wait to try these, they sound great. Never heard of Colonial Day. Thanks for commenting! Colonial Day is one of the traditions at our school...created by our 4th grade teacher to aid in teaching American History. Lots of fun! 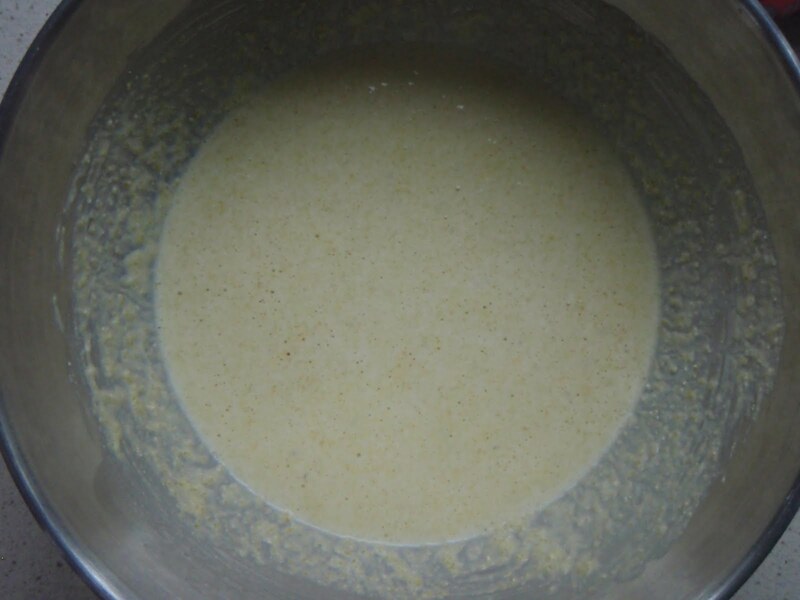 Hope you tried the recipe, I know you will love it.